Want to put your taxis on the map? 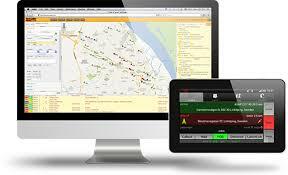 We offer the most cost effective fleet dispatch system on the market. We are currently the only system that offers a complete dispatch solution for both pre booked rides and in app direct hailing. You could start with digital dispatch today! All you need is an iOS or android powered Smartphone as your in car terminal. You don’t need to worry about the hassle of running a server or any complicated IT stuff. We handle all of that for you. No setup charges. No hidden fees! Why pay for expensive in car terminals when low cost consumer hardware does the job better? The TaxiCaller in car terminal runs on iOS and Android powered Smartphones. They come for as little as £100 and have built in GPS, touch screen and map display. You only need an internet connected computer to run the TaxiCaller dispatch terminal. Multiple dispatchers can be logged in at the same time. It’s never been this easy and cost effective to get started with digital dispatch! The TaxiCaller booking system is optimized to automatically assign jobs to the nearest vehicle. And it even looks into the future! By analyzing each vehicles’s job queue, the system is able to determine which vehicle will be closest at the scheduled time of pick up! With in app direct hailing, drivers burn less fuel cruising for jobs. Passengers can find your taxi even if it doesn’t drive right in front of them. Also as the passenger enters all the information, you will save money on call center staff. We provide new ways for your passengers to reach you. Passengers can book or hail your taxis from the TaxiCaller Smartphone app. We also offer a simple to use web booking interface, where passengers can enter their ride details and book. The web booking can easily be integrated into your web page. If you can copy and paste a single line of HTML then you can start receiving internet bookings from your web page today! How often do you receive annoyed calls from passengers wondering where their taxi is? Many jobs are also lost when lines are busy and passengers call a competing business. With TaxiCaller in app or web booking the customer will never be stuck on hold, and once a booking is made the passenger can track the ride. Time of arrival is estimated and once a job is started the passenger can see the exact location of the cab on the map! You could get started with a free trial today. It’s completely free to try out up to 5 vehicles for 14 days. Contact us to find out more about our pricing models. You’ll discover that we offer the most competitive prices in the business!